“The Popal Vuh, the sacred book of the Maya, unfolds a complex web of mystery around a beverage known as xocoatl (ch-co-atle). 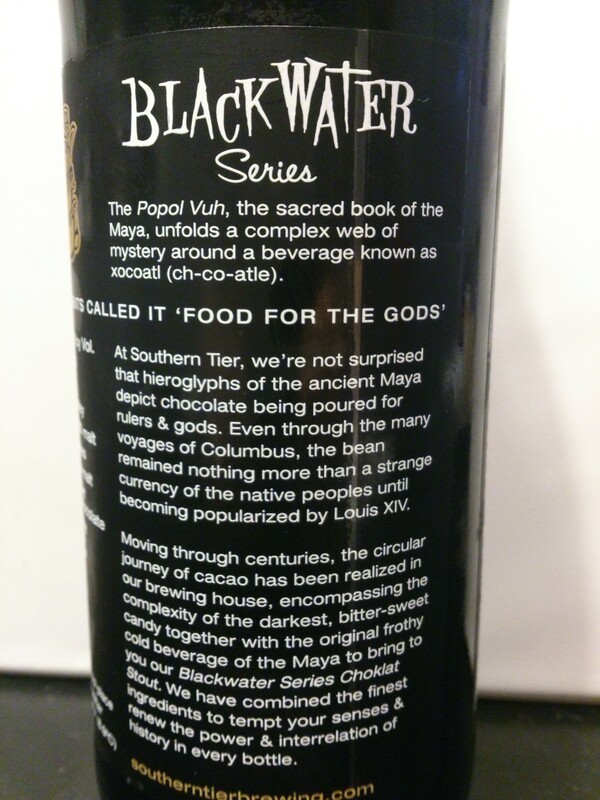 At Southern Tier, we were not surprised that hieroglyphics of the ancient Maya depict chocolate being poured for rulers and gods. Even through the many voyages of Columbus, the mystical bean remained nothing more than a strange currency of the native peoples. Poured from a 22 oz bottle into my brandy snifter, per Southern Tier recommendation. Choklat is jet black, with no opaqueness offered. It pours a small brown head, and dissipates quickly to nearly nothing. Little lacing was left on the glass. 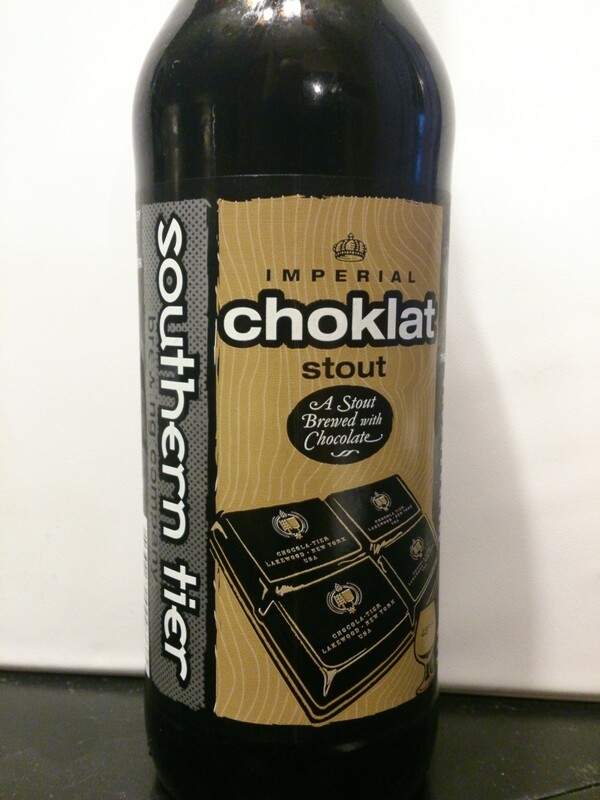 Immediately after popping the cap, the aroma of chocolate emanates from the bottle. 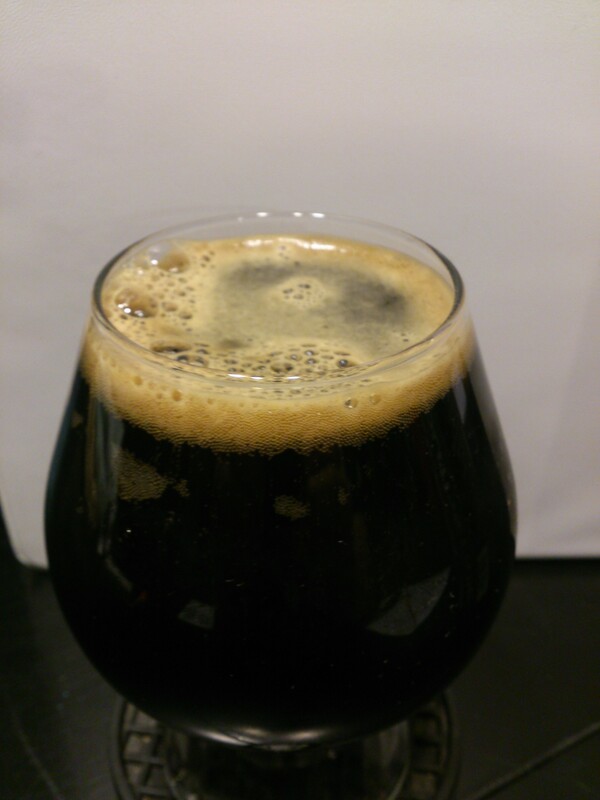 After poured, an intense aroma mixture of milk and dark chocolate dominates. It is remarkably similar to the smell of Hershey’s Chocolate Syrup. There are also subtle undertones of sweet malts, dark fruits, and a touch of alcohol. The initial mouth feel is mild bitterness, followed by an absolutely palate-crushing amount of chocolate. Intense milk chocolate, dark chocolate, chocolate syrup. High end chocolate, like something from Belgium, or maybe Ghirardelli. It coats the mouth, the teeth, my brain. There may be some malts, but the chocolate quickly eliminates any thoughts they have of escaping. 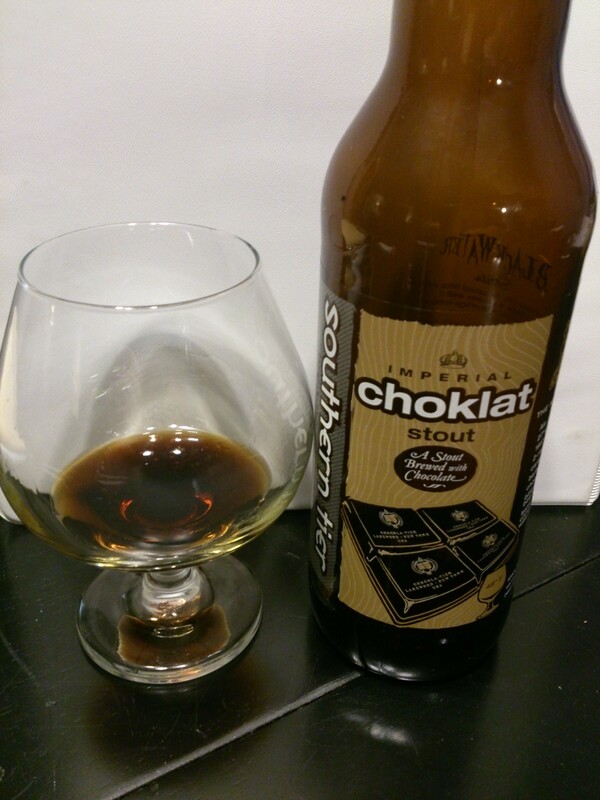 Choklat is medium-thick bodied, remarkably smooth, and hides its 11% ABV behind a wall of flavor. If any beer ever met the definition of a dessert beer, this would be the one. Rich, sweet, smooth, filling, delicious. I truly laughed when I first tasted it, with the chocolate flavors exceeding my very high expectations. Unfortunately, this beer is unavailable in California, and I spent way too much money to get my hands on some online. That is probably the only bad thing I can say about this beer. 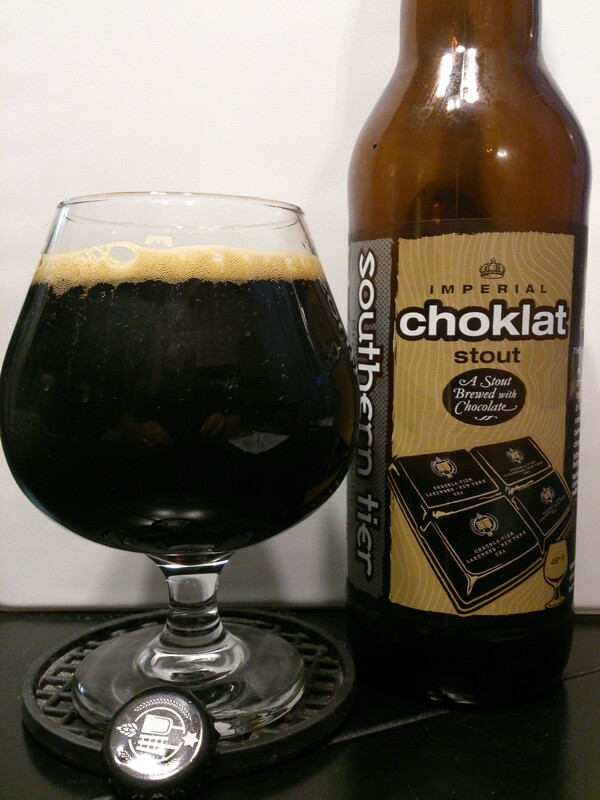 Maybe too chocolaty for some, but after a few bottles and a great buzz, I can honestly say this is one of the best beers I have ever had. It is different than any beer I’ve ever had. Choklat is an absolute joy. Exceptional. 10/10.